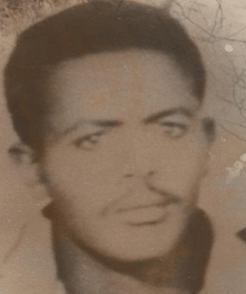 (whose religious activities Yohannes denounced) had also served the Egyptian cause and had harboured Ethiopian outlaws like Walde-Mikael and Bahta Hagos. In August 1879 Alula ordered his deputy Walda Mikael to send his troops forward. 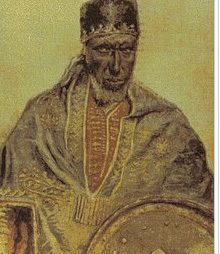 Commanded by one of Walda Mikael devoted Kantiba Shawish, the Ethiopian army entered Bogos, and taxed the various tribes, Europian colonists and missionaries. Alula used the Bogos expedition to engineer Walda –Mikael’s fall. He refrained from sending troops towards Massawa, and thus Walda Mikael remained at Gura surrounding by Alula’s men, while his most loyal followers were raiding Bogos. The emperor was not totally convinced about the plot, and in any case Alula, as a ras, was not superior to Walda Mikael, so it was up to the emperor to do justice. According to oral tradition, it was Emperor Yohannes himself who told ras that the old capital of Addi Taklay “can not serve as a barrier against the enemy” The emperor sought Asmera’s establishment not merely to counter the Italians, but also to provide Alula with a province of his own. The second was an edict which laid down that every tribute-paying owner of land, by whatever title. Alula also reportedly exploted Hamasen’s characteristic collective village ownership of land. He confiscated one quarter of the land of such villages for the use and ownership of his Tigrean soldiers, forcing the others to compensate those deprived of their property. In the Marab Mellash Allula’s soldiers found a new way of life and lost their interest in returning to Tigre. Allula had encouraged the settlement of his immigrant soldiers, mostly the one to two thousand devoted veterans whom he had commanded since his days as an unknown shalaqa. They lived in the Marab Mellas, and no longer wanted to return to Tigre where they had no property. Their needs were met through land alienation and rapid integration into the Hamasen peasantry. Alula’s tax schedule was quite high. Merchants had to pay the relatively enormous sum of about two thalers per mule load, while a farmer an owner of two oxen, was charged about ten thalers per annum, plus two-fifths of his production. During Alula’s administration 1879-1889, Hamasen provided taxes of 125, 000 thalers; Akalla Guzay paid 7, 900 per annum Tribes of the Habbab, Bogos, Maria and =Banu Amir paid a total of around 7, 750 thalers per annum. [Haggai Erlich's, "Ras Alula"84-85]. 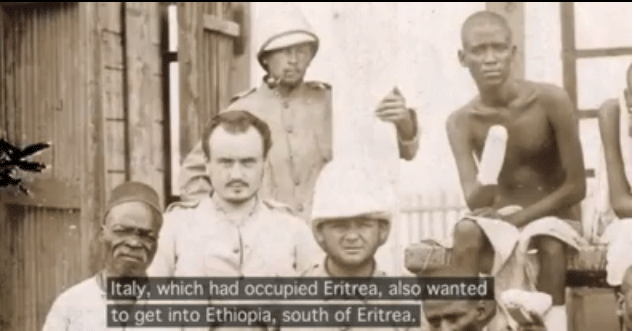 This photo was taken in 1896 in a field hospital in Massawa, Eritrea. 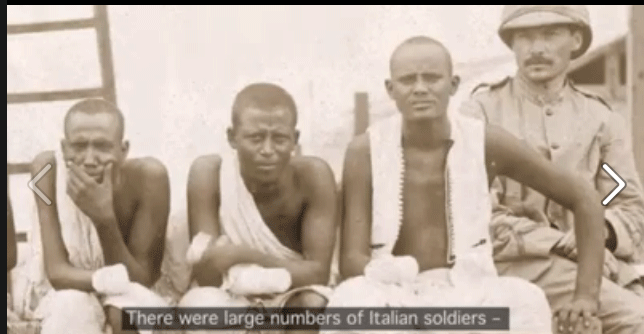 It depicts Eritrean askari (soldiers) and some Italian officers. 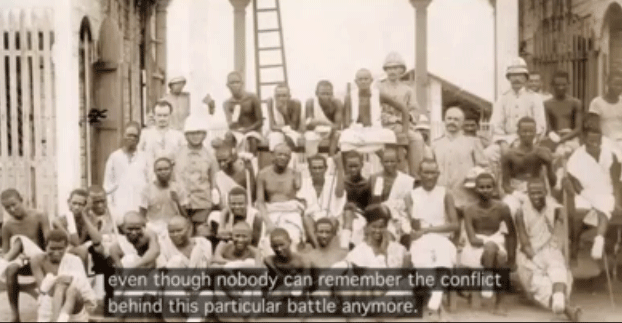 The soldiers were captured in a battle on March 1, 1896, between the invading Italian colonial army and Abyssinia (Ethiopia). 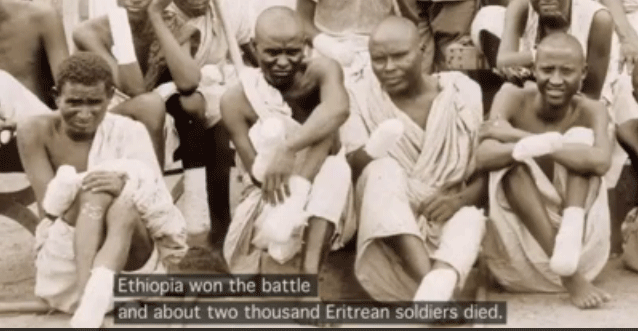 The Ethiopians won the battle and 2000 Eritrean soldiers who were in Italian service were killed and 800 were captured. 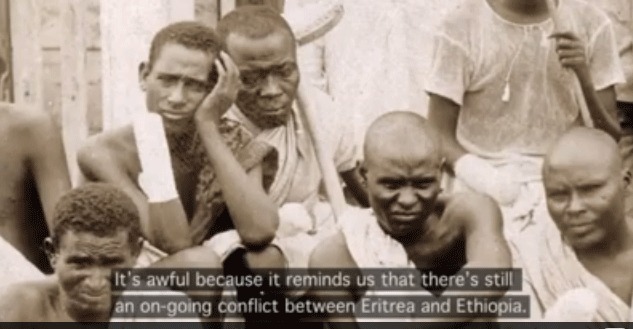 As punishment for what the Ethiopians regarded as treason, the right hand and left foot of the captured were cut off. According to the Italian subtitle this was done at the monastery of Abba Garima east of Adwa, in the Tigray region in northern Ethiopia. Many of the captives died from their injuries. This video was made for the exhibition "The Storage - An Ethnographic Treasure" displayed at the Museum of Ethnography, Stockholm, Sweden.